At this point, you’d probably start to ease away from me, and wonder how come I can’t tell the difference between a screwdriver and a hammer. I believe that at this point, you would try to exit the conversation as quick as quickly as possible, wondering if we all weren’t little nuts. Yet, this is the very same type of conversation we continue to have about MAP testing, accommodations for special education and English Learner students, and what is a universal screener. 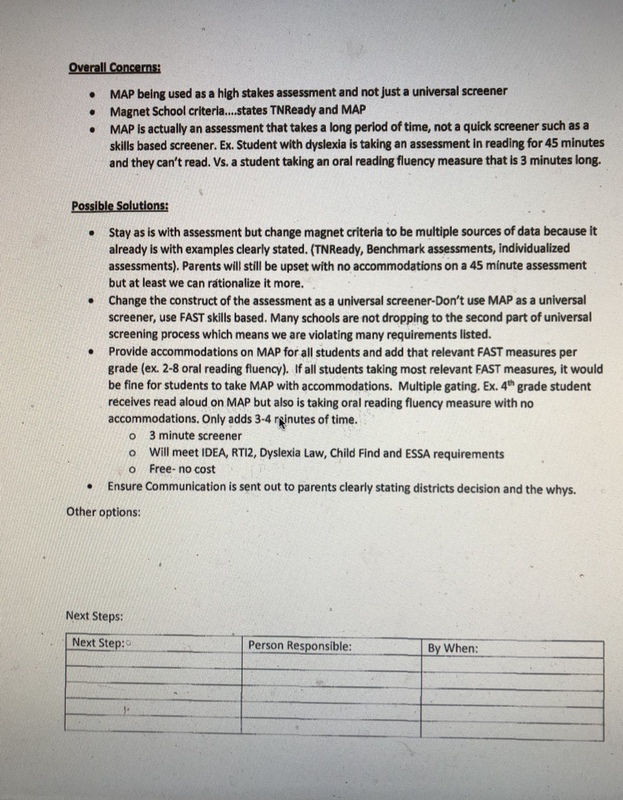 MNPS began MAP testing a couple of years ago under the guise of giving parents a greater understanding of their children’s learning progress. In case you are not familiar, MAP is a high-quality formative assessment that is used to guide instruction. When used as designed it gives teachers insight into exactly what students need and the growth they have made. If you buy the whole suite, which MNPS does not do, NWEA will desegregate the data in a manner that will allow teachers to target areas of need for individual students and drive small group instruction. Unfortunately, that’s not what MNPS uses MAP for. District leadership uses it to justify policy, and as a universal screener for special education, magnet programs, and additional advanced academic programs. We do this despite the fact that the MAP version we utilize is not a universal screener. 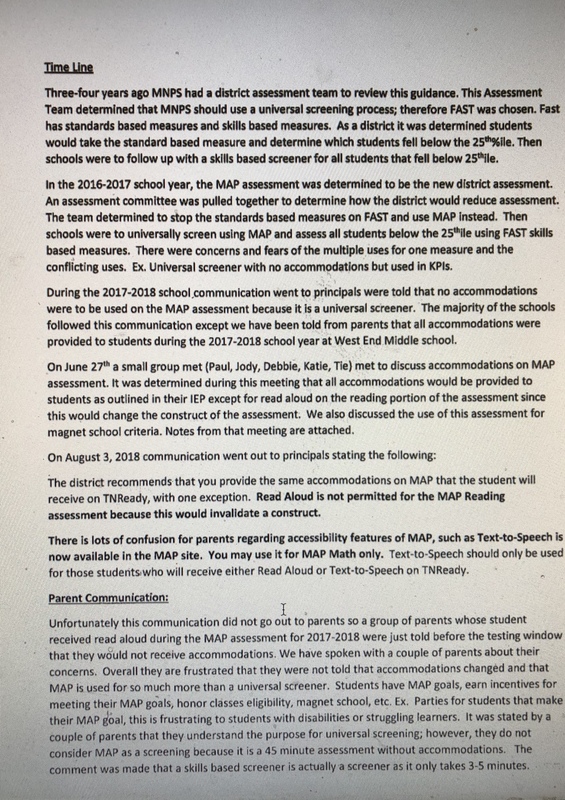 MNPS has used the ruse of using MAP as a screener to deny special education and English Learners accommodations – read-aloud, text-speech – that federal law says they are entitled to. Even though it doesn’t meet the guidelines for a universal screener as defined by the state. In grades K– 8, districts should administer a nationally normed, skills-based universal screener as part of the universal screening process. Universal screeners are not assessments in the traditional sense. They are brief, informative tools used to measure academic skills in six general areas (i.e., basic reading skills, reading fluency, reading comprehension, math calculation, math problem solving, and written expression). I think that’s pretty clear, no? Furthermore, the department goes on to give a list of preferred vendors. A list that does not include MAP. 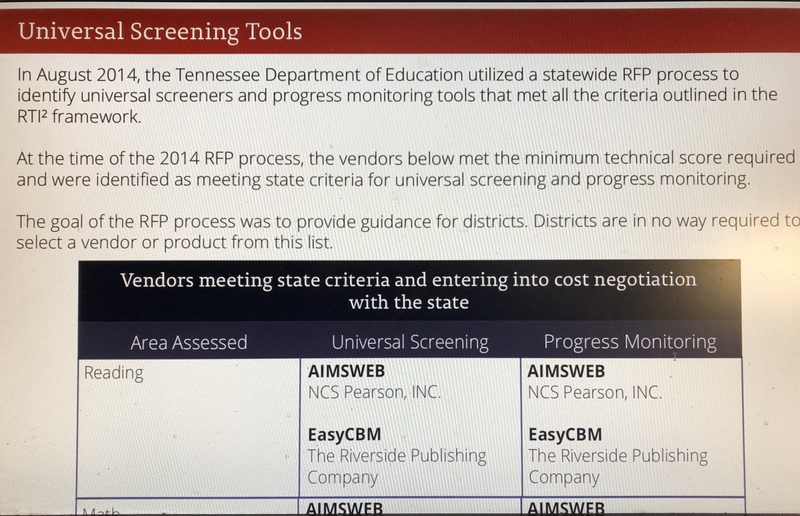 So why is MNPS using MAP testing as a universal screener? I honestly don’t know, I admit parts of it lend themselves to the potential of utilizing it as such but it is clearly not the right tool. An email received as part of an open record request sheds a little light into the districts decision-making process. In reading through the ‘timeline,” I find it interesting how little guidance from the state is mentioned despite administrator recent testimony at board meetings. It is also clear that everybody involved is aware of the problems involved with using MAP as a universal screener. Yet, it took weeks before accommodations were restored. The question now becomes how does the district utilize data where, by the district’s own admission, 13% of those taking the test did so previously without accommodations and now have accommodations restored? Obviously, results are going to be considerably higher for those now receiving accommodations, giving a false sense of growth. To what extent has the database been corrupted? If MAP was being used as intended – a formative assessment to guide instruction – this would be a minor issue. But, MAP has been designated by Dr. Joseph as the tool for measurement of one of the district KPIs. That makes it a high-stakes test. Based on the way it has been administered over the last two years can it really be treated as such? For example, assume both the fall and spring test windows are five weeks long. The week selected for growth comparisons is the middle week in both windows (Week 4 and 32, which results in 28 weeks of instruction). If this student tests during the first week of each window or the last week of each window, the interpretation of the student’s growth will not be affected, assuming he or she gets 28 weeks of instruction between test events. However, if the student has 24 weeks of instruction because the student tested during the last week of the fall window (Week 6) and the first week of the spring window (Week 30), the interpretation of this student’s growth may be significantly impacted if the student’s growth is still being compared to the 28-week standard. Therefore, it is recommended that once a testing schedule is established within a school for a testing term, a similar schedule should be used consistently at all subsequent terms. If students will receive more or less than 28 weeks of instruction between their fall and spring test events, the school or district should update their reports to reflect the actual number of instructional weeks that the students will receive between tests. MNPS is testing every 12 weeks and the testing window is roughly 3 weeks. Furthermore, our August test is in the NWEA window for Fall. Our November and February testing dates fall into the Winter category. The Spring test is optional. Here in lies my problem when I am told that criticism of Dr. Joseph should be limited to performance. When he controls the data, both its construct and its method of dissemination, that becomes a difficult task. In constructing his evaluation there needs to be more of a conversation about the validity of the measurement tools that are going to be used to produce the data that will be considered and if they are indeed the right ones to use. If I showed up to a track meet with a watch that ran fast, I don’t think I would be allowed to use it to measure my race pace. The same needs to hold true when measuring KPI’s for the district. We also need to recognize that by utilizing a tool for something other then what’s it is intended for, we run the risk of identifying all students who need help. No different than when we try to drive screws in with a hammer. It may work for some, but others are going to get bent and lost. That should be unacceptable to anyone. 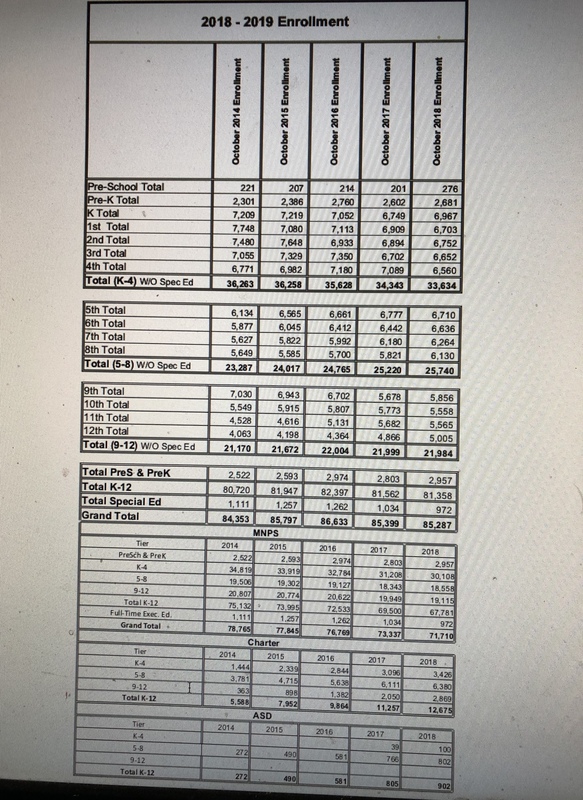 If you’ll remember, last spring the district found out that they were going to receive $7.5 million dollars less in funding from the state due to lower than predicted student numbers. There was quite a bit of conversation around this shortage and when the district knew. Based on the 20-day counts that the district compiles, I was of the opinion that the district should have been aware pretty early in the year. Last week I began to wonder what those number might be looking like this year and so, I requested them from the district. They provided me with the 40-day count. The numbers paint an interesting trend. MNPS continues to move in a downward trend in terms of enrollment. This year it looks like in K-12, the district is down by roughly 200 students, though that number is a bit offset by pre-school and pre-k enrolments. There could be a number of reasons for this decline – more single people then families relocating to Nashville, cost of living forcing families to live in surrounding counties. However, charter school enrolments continue to grow. It should be noted 200 students may seem like a miniscule number, but that could result in a lost $1.8 to the district budget. 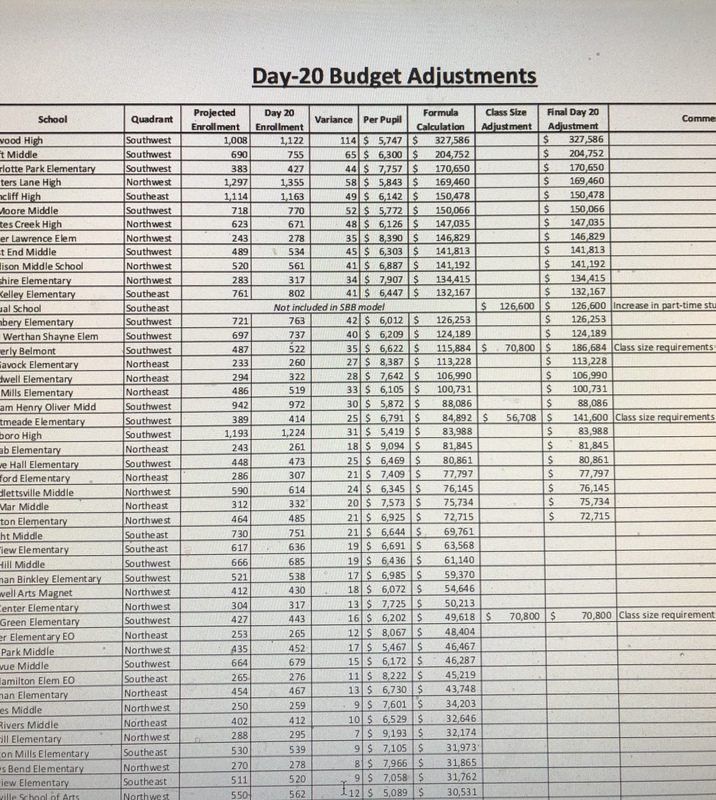 For an example of what that looks like in real-world dollars here’s a look at adjustments made to individual schools’ budgets after the 20-day count. Individual school budgets are adjusted based on these counts. Remember school budgets receive per student allotments. The rule is if after the 20-day count if your enrollment is under projected, you receive funds equalling half of the allotted per student amount multiplied by the number of students difference. If you are over projected the formula works the same, but schools forfeit funds instead of receiving them. For some schools, the result is more money. Some lose some of their money. Some, lose a lot of their individual school money. Hillwood HS received an extra $327k while Cane Ridge lost $246K. Those are substantial numbers. It is easy to see just how important it is to get those attendance predictions right. Don’t fall into the trap of thinking that just because a school gets another $250k they are suddenly flush with cash. That money is already spent. Hopefully this year we are better prepared as we head into budget season. Spend any time talking to MNPS teachers and administrators and you’ll find that morale is extremely low. District leadership tries to downplay it, focusing on feedback that they receive at listen and learns. But I’ll use a recent listen and learn at Antioch HS as an example of how the district isn’t going deep enough. After introductions, the was meeting was opened to discussion. However, the discussion was only open on one subject, “What was working in the district?” After a lengthy silence, the moderator informed those in attendance that they could be very patient. The silence continued until uncomfortable teachers began to slowly fill the void. 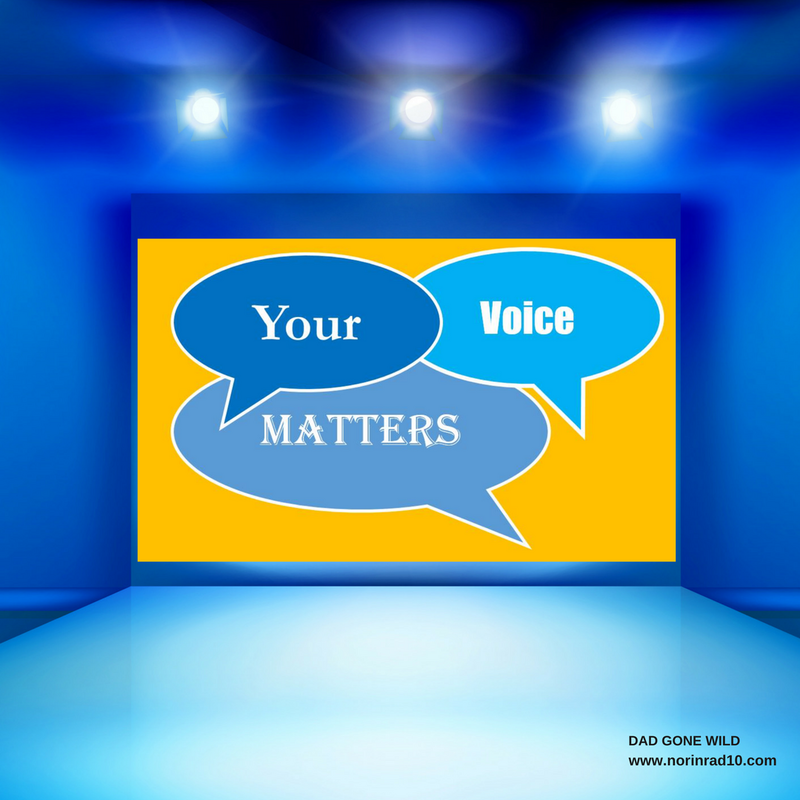 Eventually, the conversation improved, but many never received an opportunity to voice their real concerns. They were left to leave their questions with school board member Fran Bush. The good news here is that she will get answers to those questions. It still remains though that important voices are not getting heard. Over the past 2 years, I can’t tell you the number of emails and private messages that I’ve received from teachers reaching out because they either felt no one else was listening, or they feared retribution if they publicly voiced their concerns. School board members and district leadership can downplay the fear and dissatisfaction all they want, it doesn’t change the fact that it is very real. It is in this light that board member Amy Frogge has begun sharing via social media, 5 comments a day that she has received. Some people may be critical of the initiative, but the truth is, she has tried to hold this conversation away from the spotlight and fellow board members have turned a deaf ear. Director Joseph himself has done little to assuage the situation. He has re-enforced the perception of retribution by striking out at those who are critical, both board members and employees at Central Office. He may deny that charge with his words, but his actions and the lawsuits that have resulted because of those actions convey a different story. Word on the street is that another one is coming next week. Five educators will receive one of public education’s highest honors, the NEA Foundation’s prestigious Horace Mann Award for Teaching Excellence, recognition as one of the nation’s top educators, and $10,000. One of those Educators will be former MNPS Teacher Cicely Woodard. Mrs. Woodard’s husband, Ron, is a high ranking administrator in Maury County and wanted me to let you know that in honor of his wife winning this incredible award, drinks are on him. Congratulations to Cane Ridge HS running back Devon Starling who was named the 2018 Titans Mr. Football for Class 6A. Starling is the first Metro Schools’ football player to receive this award. Whoo Hoo! Antioch MP, McKissack Middle, and McMurray Middle were each awarded a portion of an $8.25 million priority schools grant from the U.S. Department of Education. These grants will fund strategies for school improvement. Way to go guys! I’m sure those funds will be put to good use. Time to once again review the answers to this week’s poll questions. The first question asked whether you thought Mayor Briley should boycott last weekends Christmas Parade based on Kid Rock being the Grand Marshal. Most of you, 35 percent, felt that he should keep politics aside and just attend. 19% of you pointed out that his attendance wouldn’t make a difference one way or another. Only 8 percent of you supported his boycott. As a side note, View host Joy Behar appreciated the Mayor’s posturing, though I’m not clear on how much that’ll help him get elected. Our mayor is an embarrassment. A tie just depending on the dust between #2,#3, & #7. Clearly more than you do! Like all MNPS employees he’s busy looking for another job on Monster.com! Finds new ways to rebrand policy that existed prior to Dr. Joseph.? Counts his money with Maritza while looking for other jobs. I don’t spend any time thinking about this. Our city doesn’t have a leader. We are too busy attracting new folks. Next SOCIAL JUSTICE WARRIOR OR EDUCATOR IN CHIEF? In the opening episode the number of priority schools massively increased, but don’t worry… the Chiefs are busy turning water into wine. As a follow-up, the CFO and the second in command lost track of how many students were hemorrhaging from the system, resulting in budget freezes. But don’t worry, the others Chiefs were busy turning water into wine. 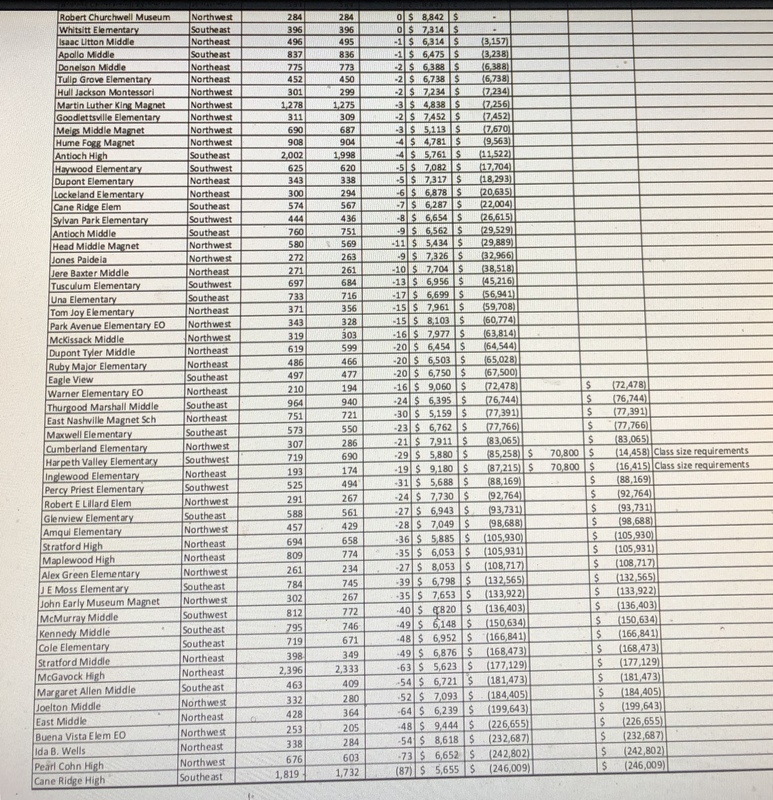 Next, the district couldn’t get its lead testing done properly, and has also paid out record amounts in lawsuit settlements… compounding its money troubles. But don’t worry, the Chiefs are busy turning water into wine. And the kids are fine. No real audits needed here! We’ll settle for the kangaroo court kind. Then, the ACT scores basically did nothing but I’m telling ya we are down here turning water into wine like it’s nobody’s business. Same for those state tests and report cards. Nothing but wine. Finally, we bought a monitoring test with the express purpose of using it to replace benchmarks AND screening all at once. Because we are BRILLIANT of course we considered the ramifications of running this as a quarterly test and without accommodations …because OMG don’t you realize we are unbelievably BRILLIANT?! What more can we say: water into wine. And they wonder why we whine. the joseph contract will be a tipping point. if renewed, the district may never recover.